The POU 3.5 has one (1) heating element and exchanger. The POU 3.5 uses (1) 3.5 kW @ 120 Volts. 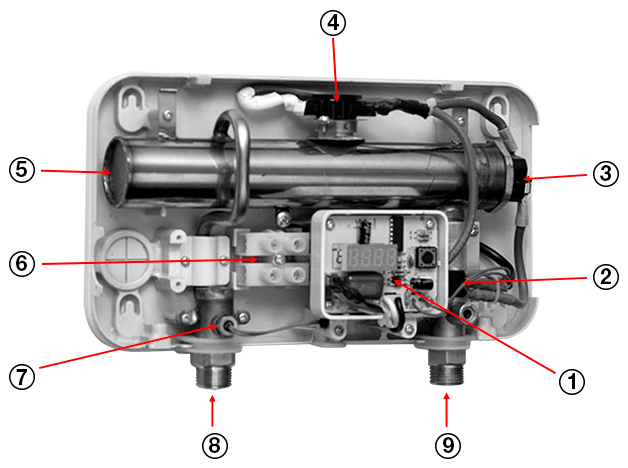 The POU 6 has one (1) heating element and exchanger. The POU 6 uses (1) 5.5 kW @ 220 Volts. The ECO 8 has one (1) heating element and exchanger. The ECO 8 uses (1) 6 kW @ 208 Volts. 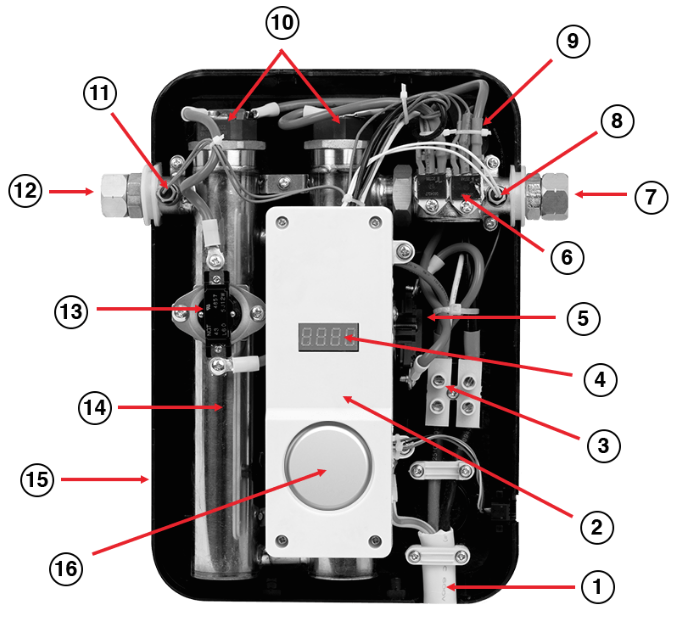 The ECO 11 has two (2) heating elements and exchangers. The ECO 11 uses (2) 5.5 kW @ 220 Volts. The ECO 18 is a medium sized model and the unit has two (2) heating elements and exchangers. The ECO 18 uses (2) 9 kW @ 240 Volts. The ECO 24 and ECO 27 are larger sized models and the units have three (3) heating elements and exchangers. The ECO 24 uses (3) 8 kW @ 240 Volts and the ECO 27 uses (3) 9 kW @ 240 Volts. 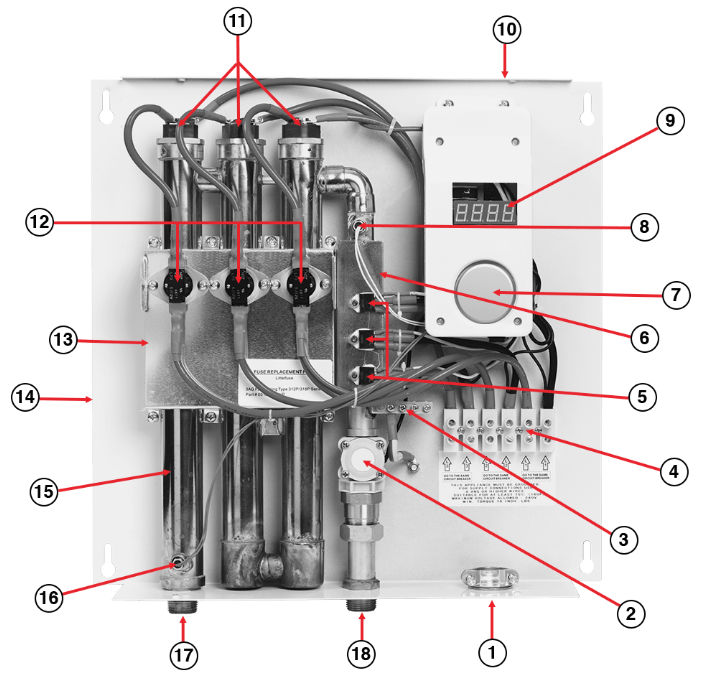 The ECO 36 is the largest sized model and the unit has four (4) heating elements and exchangers. The ECO 36 uses (4) 9 kW @ 240 Volts.